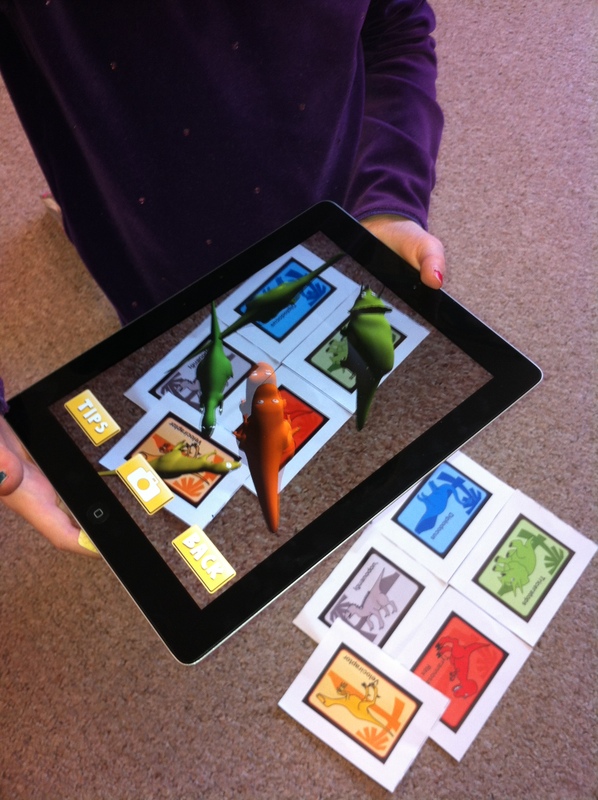 Dinosaurs AR Style! | Mrs. Anton's Class! ← Adding up the Fun! 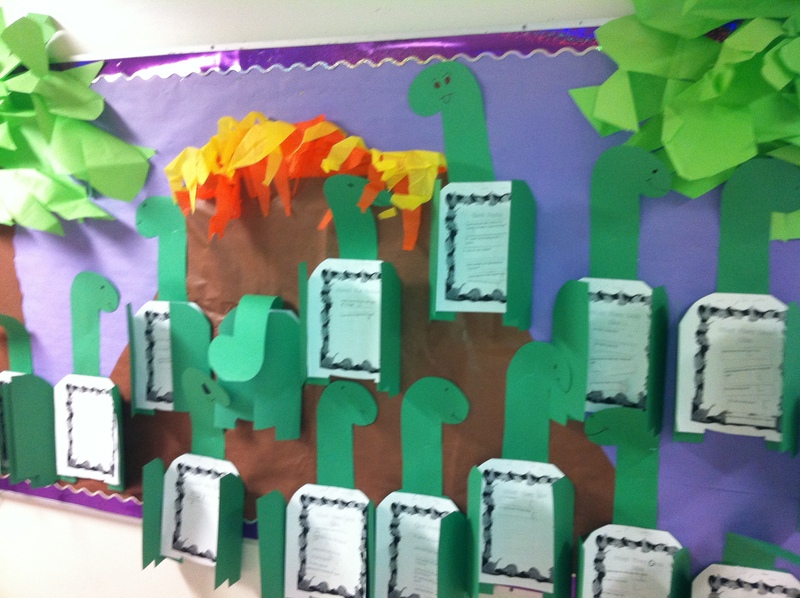 This week we have started a new theme about dinosaurs! 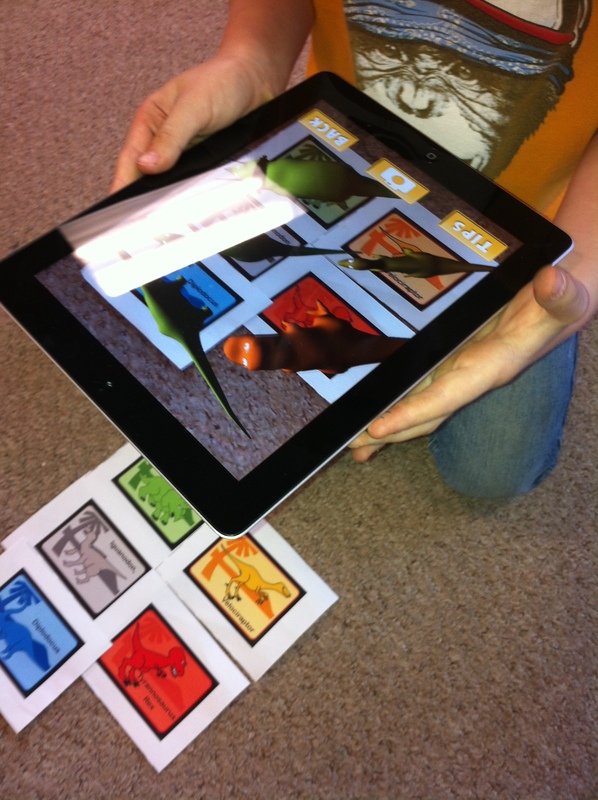 Today, we had fun with some more Augmented Reality cards for some of the more popular dinosaurs. Mr. Brick even got to try it out. These cards came as part of the package I downloaded from the AR Flashcards app. You print off the cards with a color printer. These particular cards came with the AR flashcards for the alphabet that we blogged about a few weeks ago! 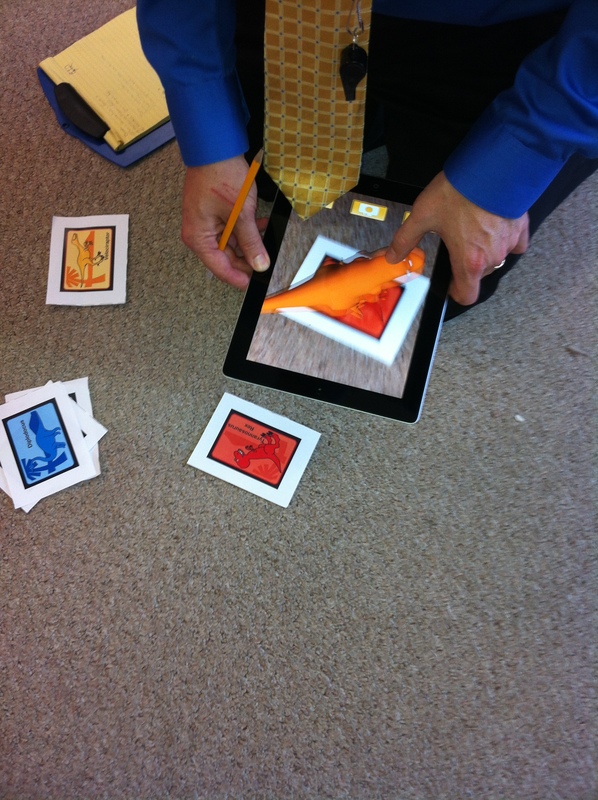 Once you have the cards all you have to do is activate the app and then hold the iPad over the picture. Magic happens! 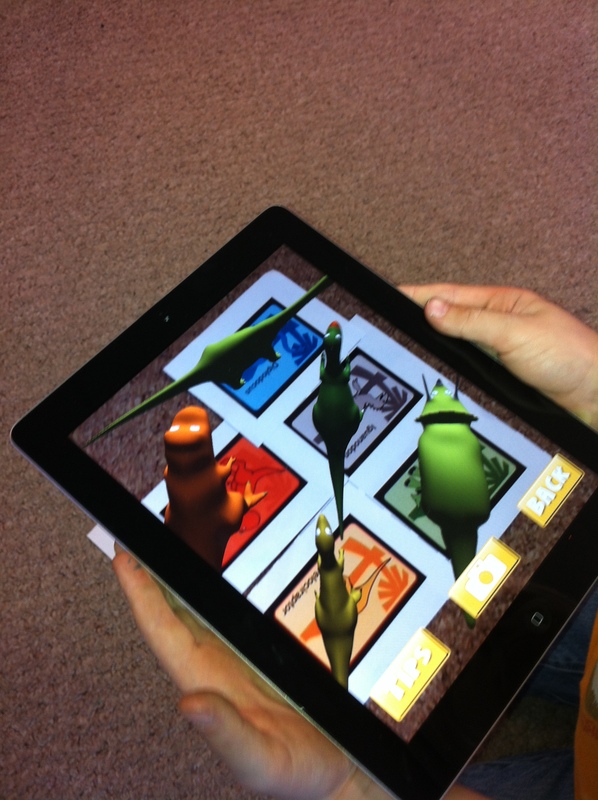 A 3 D image of the dinosaur appears! If you tap the screen, a child’s voice says the name of the dinosaur. I thought you had to hold it over only one card at at time but the children discovered that they could get all the dinosaurs at once by putting the cards closer together! We also did our first research report. 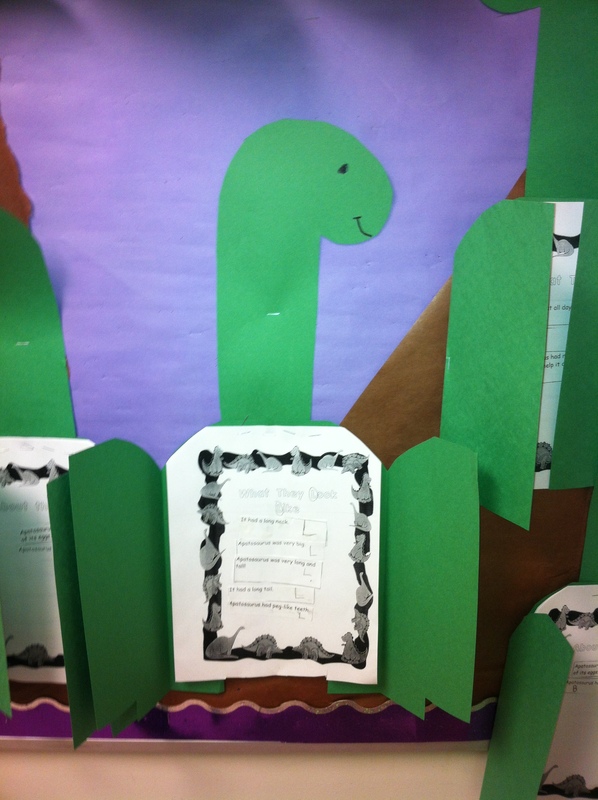 I compiled a small set of dinosaur facts about apatosaurus. We read the facts together and then we sorted the facts into four different categories. 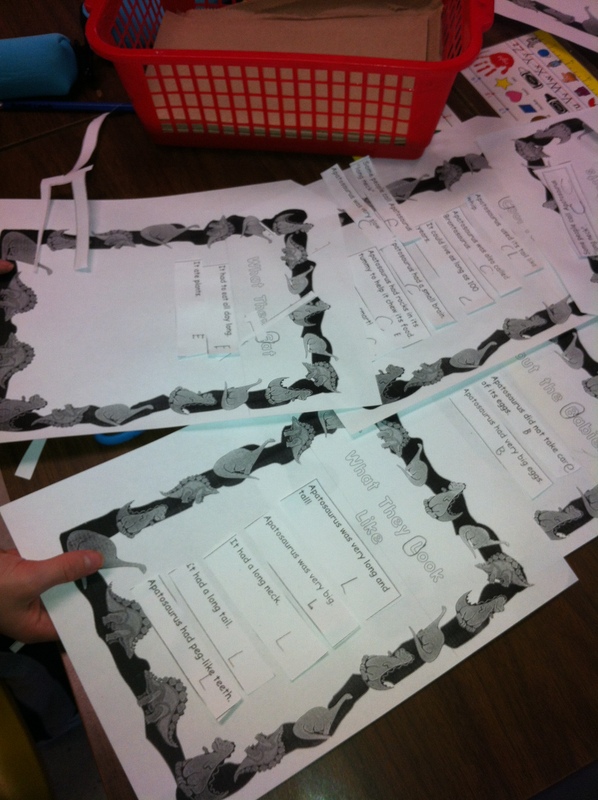 Our categories were What They Look Like, What They Eat, About the Babies, and Cool Facts. There were a lot of cool facts! You can find them in the hallway! Take a look!